Approved at list price! 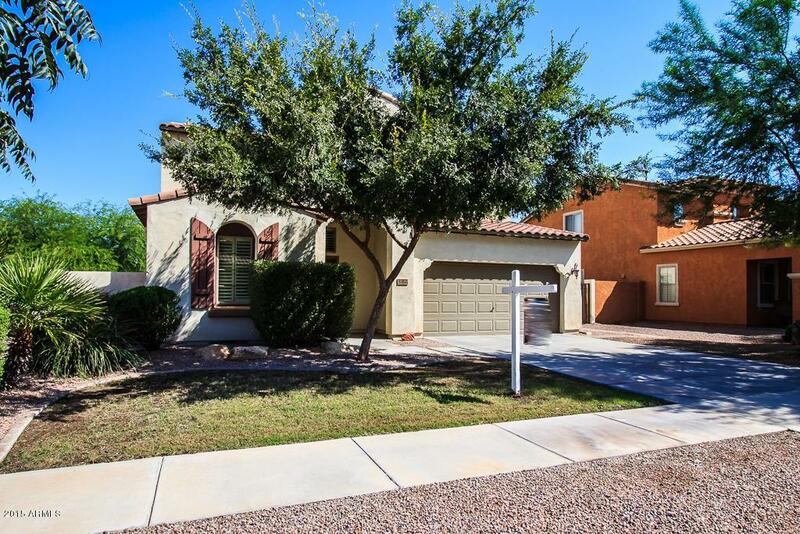 Not your ordinary short sale-this home is immaculate and move-in ready! Don't miss the great room w/kitchento die for. Plenty of room for family to gather w/over sized island in the kitchen! Added extras- office & formal dining. Upstairs the Master is split w/loft for the kids & a huge laundry! Upgrades galore- custom paint palette, warm wood flooring, plush carpeting, 10'flat ceilings,surround sound, recessed lighting, ceiling fans & blinds throughout. This home is situated on a huge lot with an extended length patio on the ''north side'' of the home-actually enjoy your backyard in the summer-& room for that pool! For the men, a huge RV gate & room for parking. This home is equipped with two HVAC and extra insulation to keep those utility bills in check!